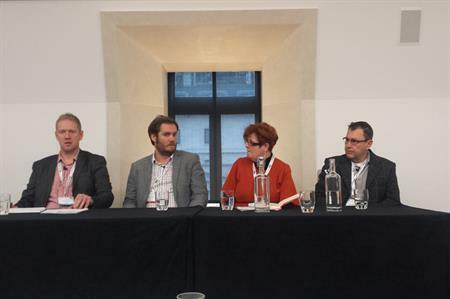 A panel of experts speaking at MPI Insights - Economic Outlook 2016 yesterday predicted growth in internal meetings, luxury bookings, incentives and event technology, despite a mixed financial forecast. With the UK economy predicted to grow at 2.5% in 2016, the majority of event professionals said they were reasonably confident about the future, though most agreed the geopolitical climate and slowdown in emerging markets was a cause for concern. Jacqui Kavanagh, CEO of Trinity Event Solutions, said the number of face-to-face events were likely to increase in 2016, particularly in the publishing industry, which has seen a rise in live events. Andrew Moore, client partnership director at Ashfield Meetings & Events, said he expected to see an increase in the number of internal meetings in the healthcare sector. "We’re going to see changes in healthcare in 2016, which will need to be reflected to employees through regular updates and management meetings." According to Richard Parker, director of healthcare at American Express Meetings, there will be a stronger emphasis on employee engagement and recognition in 2016 among corporates. This was reflected in a recent C&IT report, which showed that 88% of agencies are predicting a rise in incentive travel this year, with Thailand and Eastern Europe gaining popularity as destinations. David Goodger, director, Europe at Tourism Economics, added that Japan would also become a popular destination, as a weaker yen has made the country more affordable. While event technology isn’t new, Parker believes it will be used more effectively in 2016. "We need to start using event technology to analyse what delegates really want and to better deliver it," he explained. James Morgan, co-founder, Event Tech Lab, said that technology data was becoming more accessible to people due to better presentation, which would further encourage its use. However, he added that technology that analysed people’s needs, such as i-Beacons, had to be carefully implemented. "There’s a danger that people won’t understand it and will find it too invasive." Luxury has been considered a dirty word for the past six years, but that appears to be changing. Kavanagh said: "Luxury is on the up because everything is about the ‘experience’ and nobody wants to risk having a bad experience." She added that secondary cities were gaining popularity in the industry due to more accessibility and geopolitical risks in key locations. However, Parker said there were still limitations on luxury in the healthcare and financial sector. "There could be negative media attention surrounding luxury bookings for these groups. Even though they're offered better rates at luxury properties, they will often opt for higher prices at mid-level properties, to avoid potential fallout." Changes in the role of procurement are likely to take effect in 2016, with less focus on basic cost reduction. "There’s more interest in what can be done with budgets, rather than driving down price," said Parker. "I think procurement is stepping back and looking at events as a whole experience," added Kavanagh. "Often we’re finding procurement is coming in later, when the event is more evolved. It all comes back to that same key point of maintaining an experience throughout an event."